It is interesting to know that the severity of the breach is not the most damaging part, contrary to most breaches. In fact, the most damaging part of this breach has been Amazon’s poor transparency which causes speculation and paints the organization in a very negative light. The behaviour of the company indicates that if a seriously damaging breach were ever to occur, it would be unlikely that would be transparent to their customers at all. Global Breach – Amazon – Online shopping behemoth. Risk to Small Business: Severe: Customers get concerned when they receive an email that informs them that their data has been disclosed, and despite the problem being a technical issue rather than an external actor hacking into the network, the image of the organization is still tarnished. Risk to Exploited Individuals: Moderate: Those affected by this breach are at an increased risk of phishing attacks. When people are addressed by their name or if there is any personal info in a phishing email, it is more likely to open. United States – Make-A-Wish Foundation – Non-profit that arranges for children with critical illnesses to have experiences they would not be able to otherwise. Risk to Small Business: Severe: The negative public image associated with being breached does not give a break to even the most just of causes, non-profit or for profit. Those who have visited the Make-A-Wish foundation international site have been lending CPU power to mine for cryptocurrency which will deter visitors in the future. Risk to Exploited Individuals: Moderate: No information related to the individual has been compromised. 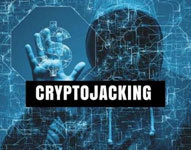 While the personal data of customers was not accessed or breached, the site itself has been stealing CPU power from those visiting the site in order to mine cryptocurrency. This would affect how many customers would use a site, and also is a prime example that non-profit organizations are not immune to being targeted by hackers.